An examination of a 1970s Conceptual art project--advertisements for fictional shows by fictional artists in a fictional gallery--that hoodwinked the New York art world. From the summer of 1970 to March 1971, advertisements appeared in four leading art magazines--Artforum, Art in America, Arts Magazine, and ARTnews--for a group show and six solo exhibitions at the Jean Freeman Gallery at 26 West Fifty-Seventh Street, in the heart of Manhattan's gallery district. As gallery goers soon discovered, this address did not exist--the street numbers went from 16 to 20 to 24 to 28--and neither did the art supposedly exhibited there. The ads were promoting fictional shows by fictional artists in a fictional gallery. The scheme, eventually exposed by a New York Times reporter, was concocted by the artist Terry Fugate-Wilcox as both work of art and critique of the art world. 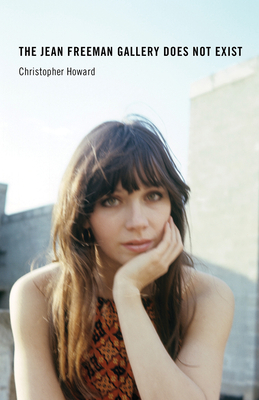 In this book, Christopher Howard brings this forgotten Conceptual art project back into view. Howard demonstrates that Fugate-Wilcox's project was an exceptionally clever embodiment of many important aspects of Conceptualism, incisively synthesizing the major aesthetic issues of its time--documentation and dematerialization, serialism and process, text and image, publishing and publicity. He puts the Jean Freeman Gallery in the context of other magazine-based work by Mel Bochner, Judy Chicago, Yoko Ono, and Ed Ruscha, and compares the fictional artists' projects with actual Earthworks by Walter De Maria, Peter Hutchinson, Dennis Oppenheim, and more. Despite the deadpan perfection of the Jean Freeman Gallery project, the art establishment marginalized its creator, and the project itself was virtually erased from art history. Howard corrects these omissions, drawing on deep archival research, personal interviews, and investigation of fine-printed clues to shed new light on a New York art world mystery.